Go Big, Go Fast… Or Go Big Go Slow! Some anglers like to troll quickly in the fall, hunting for large aggressive trout that are ready to be triggered into making a reaction strike. Other anglers prefer a slower approach. These guys feel that big fish are old and smart and in order to draw a strike from them the lure has to hang out in the strike zone as long as possible. 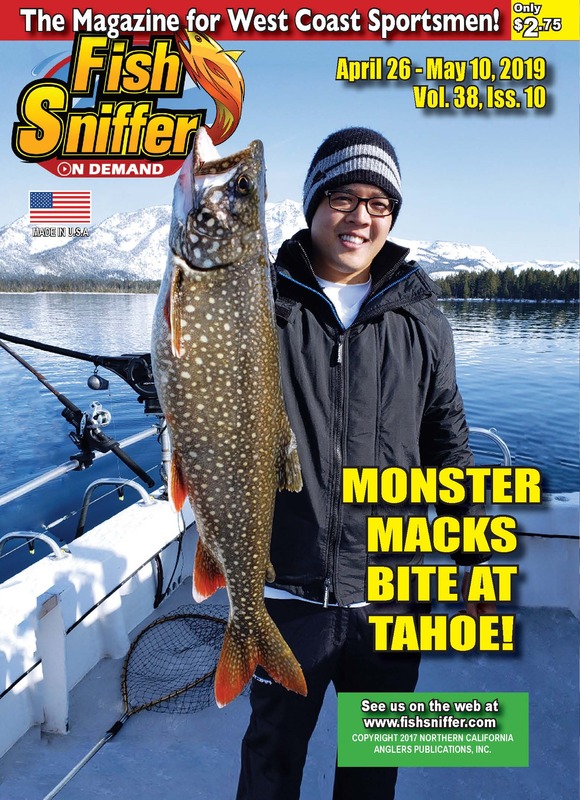 The one thing these two groups of anglers agree on is that in the fall when the trout put on the feedbag in preparation for winter, big fish usually want a substantial meal and will seek our large forage over small forage. The Mack’s Lure Team has both the “Go Big, Go Fast” and the “Go Big, Go Slow” fishing clubs covered. Let’s look closer! 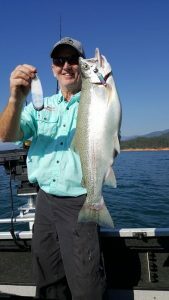 Not only is Gary Miralles, formerly of the Shasta Tackle Company a master tackle designer, he’s also a super talented trout angler and long time guide. Gary’s darling of darling lures when it was time to hook big trout is the big half ounce Hum Dinger. For me, 3 mph plus or minus a bit is the correct speed for pulling big Hum Dingers. And I couldn’t agree with Gary’s assertion more. The big Hum Dinger is a great big trout lure! In fact, the biggest trout I’ve ever caught at Pyramid Lake came on a standard issue chrome and blue half ounce Hum Dinger. 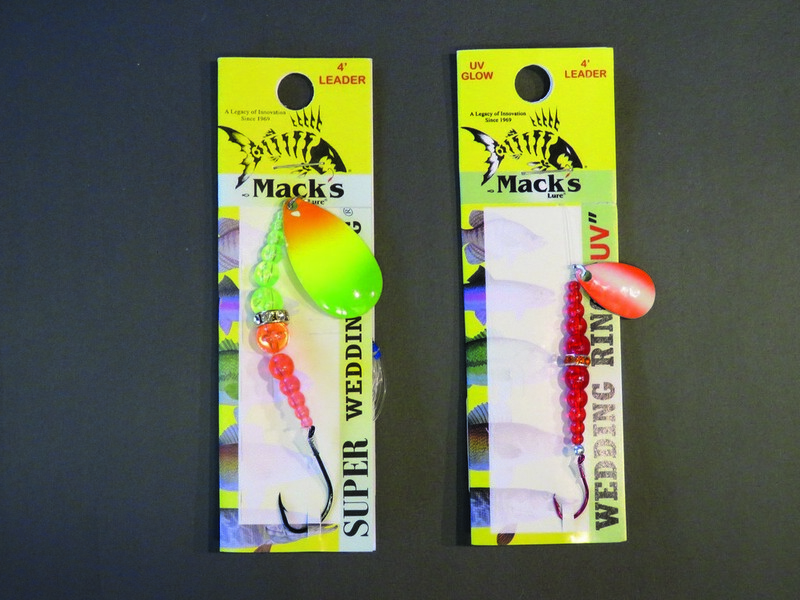 I’ve always done well with chrome and blue and black magnum Hum Dingers, but rumor has it that Mack’s Lure is supposed to unveil a full line of half ounce Hum Dingers in all new colors. I’ll bet most of us think of the same thing when we think about trout fishing with a Wedding Ring Spinner. We visualize a small size 10 red Wedding Ring with a chrome or brass blade tipped with a half inch piece of worm. 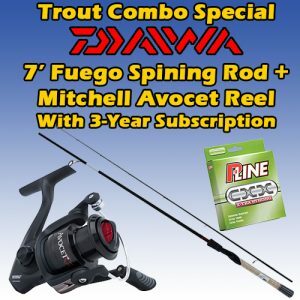 That’s a killer combo for sure, but if you want to go big and target big trout that lure just isn’t going to fill the bill. Wouldn’t it be great if we could get our hands on a really big Wedding Ring that we could tip with half a full size night crawler? Well they are great. Wedding Rings are offered in a full line of sizes from tiny models tipped with size 10 hooks and big “SUPER” models sporting a No. 4 hook. 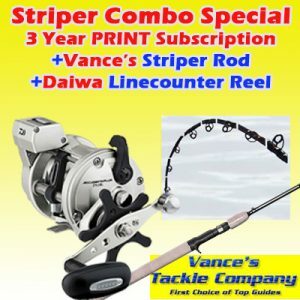 This is a lure that stays in the strike zone for a long period, the blade draws fish from long distances and when a trout sees the lure and worm combo it sees a substantial easy to catch meal…BOOM! 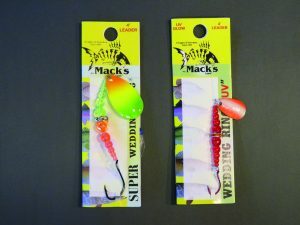 For more information about the Mack’s Lure lineup of deadly lures and attractors visit them online at www.mackslure.com.